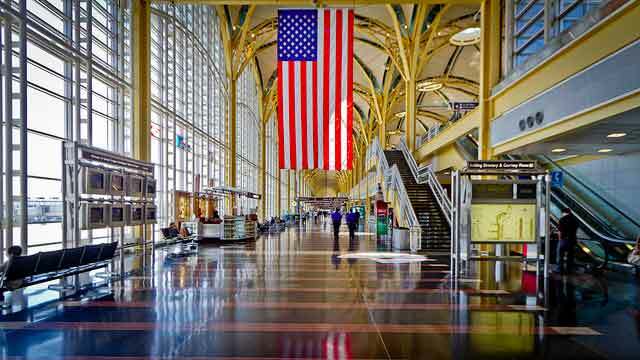 The Department of Transportation has approved four more long-distance flights from Reagan National Airport. – Alaska Airlines will fly to Portland, JetBlue Airways will fly to San Juan, Southwest will fly to Austin and Virgin America will fly to San Francisco. – Four dominant carriers were granted permission earlier to extend long-distance flights. United now flies from National to San Francisco. Delta was given approval for service to Salt Lake City, American to Los Angeles and U.S. Airways to San Diego. Nearly four out of five Californians do not know what the Delta is, despite the fact that the estuary of 1,000 square miles provides drinking water for cities from San Jose to San Diego. Asked in a new statewide poll to share what, if anything, they know about the Delta, 585 of the 750 people surveyed in late January said they hadn’t heard about it or didn’t know about it. Said another: “It is the oil line from Canada to the United States,” likely a reference to the Keystone pipeline in the news lately. Yet another respondent thought the surveyor was talking about a political candidate. In Southern California, eighty-six percent of southlanders pleaded ignorance when asked about the Delta. via California’s best kept secret? The California Delta is the largest estuary in the western United States, surpassed nationally only by the Mississippi River Delta. It borders the cities of Stockton and Sacramento and the San Francisco Bay Area. Over 23 million Californians rely on the delta watershed for drinking water, and it’s water diversions sustain the largest agricultural industry in the nation. Today’s delta faces such challenges as wildlife-habitat restoration, water rights, housing development, and politics. Complicating these issues, aging levees throughout the low-lying region threaten a disaster of national proportions—and with that prospect, the very future of the California Delta. Water, in California, is a fighting word. This week, the war drums are beating louder as regulators rush to present a flurry of water plans to the public. The cascade of decisions dictating how the state replumbs its water-distribution system, including possible construction of a canal or tunnel to move water around the Sacramento-San Joaquin River Delta, moves to a new stage Wednesday (Feb 29, 2012). That’s when state officials will unveil thousands of pages of documents on the studied effects of such a canal on the delta ecosystem, on water quality for humans, for fish and farmers (which are all different). The goal is to balance the needs of the cities, farms and fish and meet legal requirements of five state and federal agencies and the Endangered Species Act. The governor’s plan is to have the users of the south-of-the delta exported water – Southern California, as well as some Santa Clara and Alameda counties water agencies, cover the cost. Southern California water agencies are already grumbling that the project envisioned ignores what ratepayers are willing to pay for a reliable water source. The California water wars go to a new battlefield this week (Feb 27, 2012) – the floor of the U.S. House of Representatives. On Wednesday, the House is scheduled to vote on a bill authored by Tulare Republican congressman Devin Nunes. H.R. 1837 would relax water pumping restrictions in the Sacramento-San Joaquin Delta. But the Delta groups says the restrictions have been the last line of defense for protecting water quality for Delta farming and urban users. A coalition of 190 environmental, environmental justice, tribal and fishing organizations from around the state also sent comments in opposition to H.R. 1837 to Mr. Boehner and Minority Leader Nancy Pelosi.